We meet at the Odyssey on the second Monday of every month at 7:00 p.m.. Note: Even though the store is closed, we will still meet at 7:00 p.m.. However, you must use the upstairs (College Street) entrance, as the ground floor entrance (parking lot) will be locked. In addition, if you wish to buy the book for the subsequent month (at the regular club discount), please bring a check. It's the only kind of payment that can be accepted during off-hours at the store. It's free and everyone is welcome. We talk about the characters, the plot, the setting, and the language. We reveal why we liked the book or why we didn't. Sometimes we agree and sometimes we don't. Mostly we have a good time talking crime. 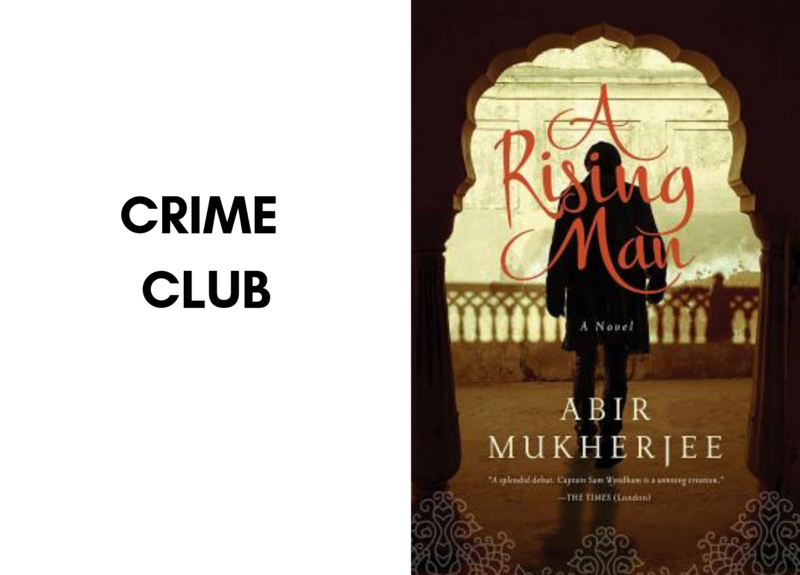 Each selection of the mystery book discussion group is discounted 20% at the Odyssey. The body of a senior official has been found in a filthy sewer, and a note left in his mouth warns the British to quit India, or else. Under tremendous pressure to solve the case before it erupts into increased violence on the streets, Wyndham and his two new colleagues--arrogant Inspector Digby and Sergeant Banerjee, one of the few Indians to be recruited into the new CID--embark on an investigation that will take them from the opulent mansions of wealthy British traders to the seedy opium dens of the city.